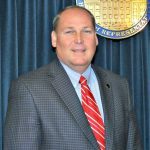 Relating to the City of Dothan; to amend Section 45-35A-51.11, Code of Alabama 1975, relating to the civil service system, to further provide for the approval of employee compensation rates. The director shall prepare and recommend to the board, after consultation with the appointing authority and other officers, a uniform compensation plan for all employees in the classified service; such plan shall include, for each class of positions, a minimum and maximum rate not inconsistent with such rate or rates as may be fixed by law, in other specific instances. The director, in establishing such rates, shall give consideration to the experience in recruiting for positions in the classified service, the prevailing rates of pay for comparable services in public and private employment, living costs, maintenance or other benefits received by employees, and the financial condition of the city. Such compensation plan shall take effect when approved by the board, and same may be thereafter modified or revised at the pleasure of the board. Each employee in the classified service shall be paid initially at the minimum rate fixed in the compensation plan for the class of positions in which he or she is employed, and the raising or lowering of the pay of an individual, within such limitations, shall be done upon request of the appointing authority, with a similar recommendation by the director, and the approval of the governing body city manager. The foregoing provisions may be relaxed by the board in fixing the compensation of persons employed by the city on August 7, 1947." March 27, 2018 H Assigned Act No. 2018-521.